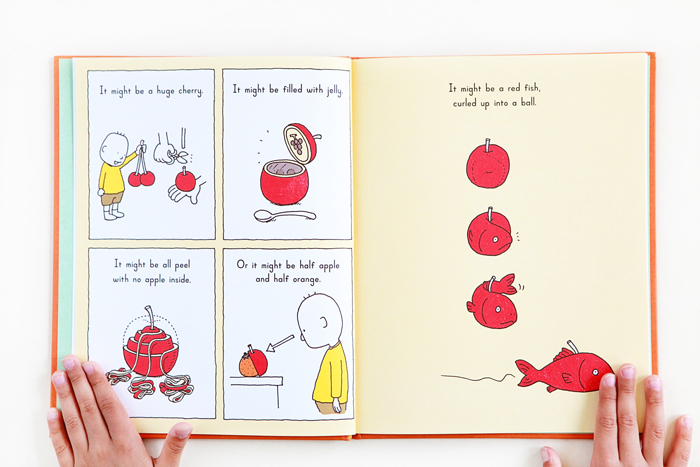 It Might Be an Apple is a thought-provoking book that doesn't take itself too seriously. 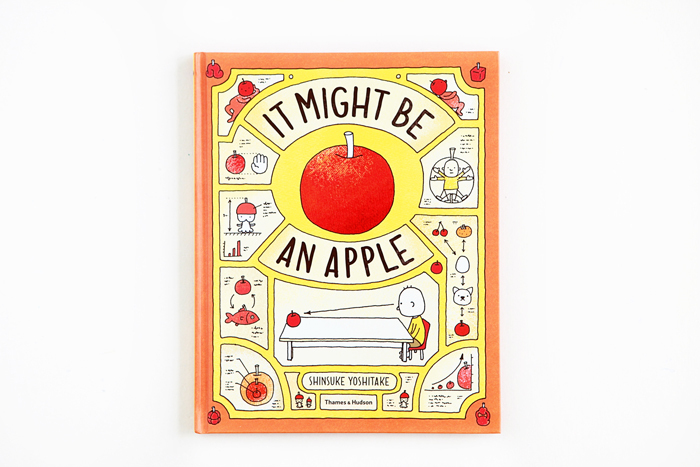 Shinsuke Yoshitake's charming philosophical musings pique a child's wonder and hold it captive long enough to engage it in some playful and intriguing ideas. 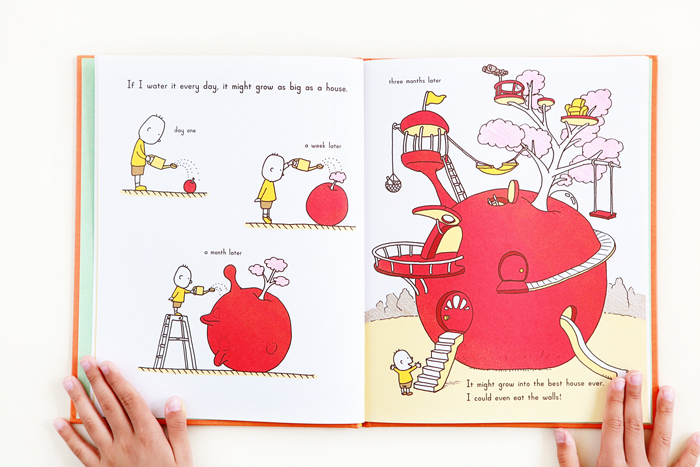 An amusing way to teach children to question the quotidian and the world around them. Absolutely love this one!